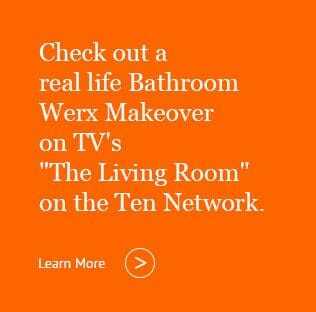 Book in an appointment for a FREE Bathroom Appraisal and receive a FREE GIFT from Bathroom Werx. 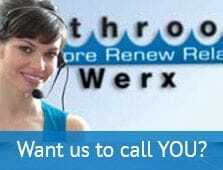 Once you have checked out your Information Package, Call BATHROOM WERX on 1800-644-171 and schedule a FREE bathroom appraisal at a date and time that suits you and we will gift you a FREE 500ml bottle of our specially formulated "Bathtub & Tile Cleaner" (valued at $15.00). It will bring "Sparkles" to your Bathroom!